Product description UNIQUE. 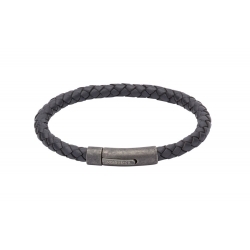 Navy plaited leather bracelet. Antique effect steel pusher clasp with gunmetal IP-plating. Length: 19cm and 21cm. Product description UNIQUE. Antique dark brown plaited leather bracelet. Black IP-Plating. Steel pusher clasp. Length: 19cm and 21cm. Product description UNIQUE.Antique red leather bracelet. Black IP-plating. Steel anchor clasp. Length: 19cm and 21cm. Product description UNIQUE. Antique dark brown plaited leather bracelet. Black IP-Plating. Steel shrimp clasp. Length: 19cm, 21cm and 23cm. Product description UNIQUE. 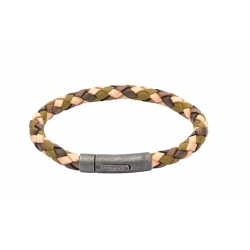 Camouflage plaited leather bracelet. Antique effect steel pusher clasp with gunmetal IP-plating. Length: 19cm and 21cm. Product description UNIQUE. 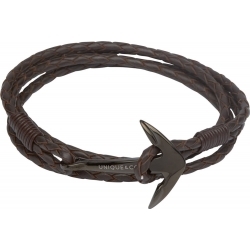 Antique brown leather bracelet with steel anchor clasp. Length: 19cm. Product description UNIQUE. 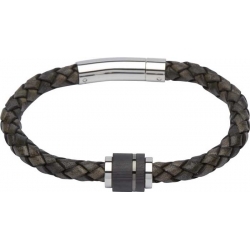 Dark brown plaited leather bracelet. Black IP-plating. Steel pusher clasp. Length: 19cm and 21cm. Product description UNIQUE. Blue leather bracelet. Black IP-plating. 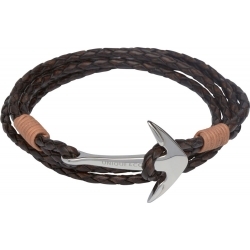 Steel anchor clasp. Length: 19cm. Product description UNIQUE. 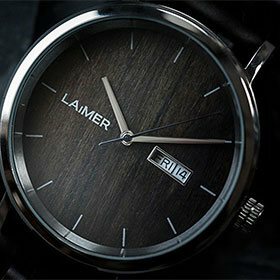 Dark brown leather bracelet. Black IP-plating. 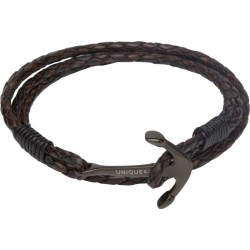 Steel anchor clasp. Length: 19cm. Product description UNIQUE. 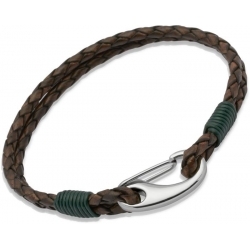 Dark brown plaited leather bracelet.Steel elements.Pusher clasp. Length: 19cm and 21cm. Product description UNIQUE. 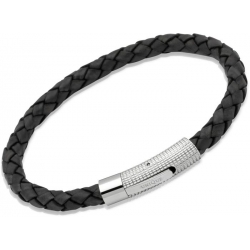 Black plaited leather bracelet.Steel elements.Pusher clasp. Length: 19cm and 21cm. Product description UNIQUE. 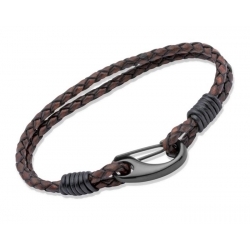 Dark brown plaited leather bracelet. Light brown bindings. Steel shrimp clasp. Length: 19cm and 21cm. Product description UNIQUE. 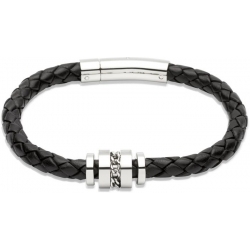 Black plaited leather bracelet. Grey bindings. Steel shrimp clasp. Length: 19cm and 21cm. Product description UNIQUE. 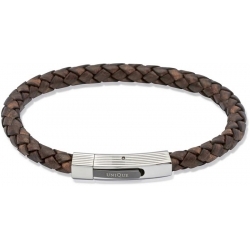 Antique brown plaited leather bracelet. Dark green bindings. Steel shrimp clasp. Length: 19cm and 21cm. Product description UNIQUE. 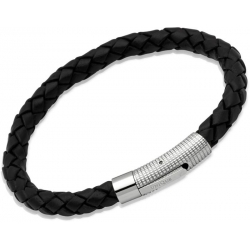 Black plaited leather bracelet. Black IP-plating. Steel pusher clasp. Length: 19cm and 21cm. Product description UNIQUE. 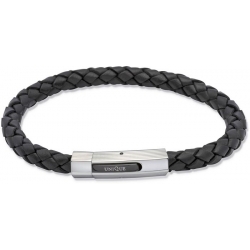 Black plaited leather bracelet. Steel pusher clasp. Length: 19cm and 21cm. Product description UNIQUE. 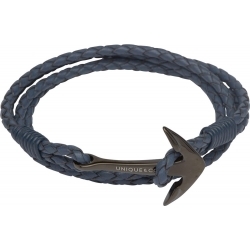 Navy plaited leather bracelet. Steel pusher clasp. Length: 19cm and 21cm. Product description UNIQUE. Antique black plaited leather bracelet. Steel pusher clasp. Length: 19cm, 21cm and 23cm. Product description UNIQUE. Black plaited leather bracelet. Steel pusher clasp. Length: 19cm, 21cm and 23cm.